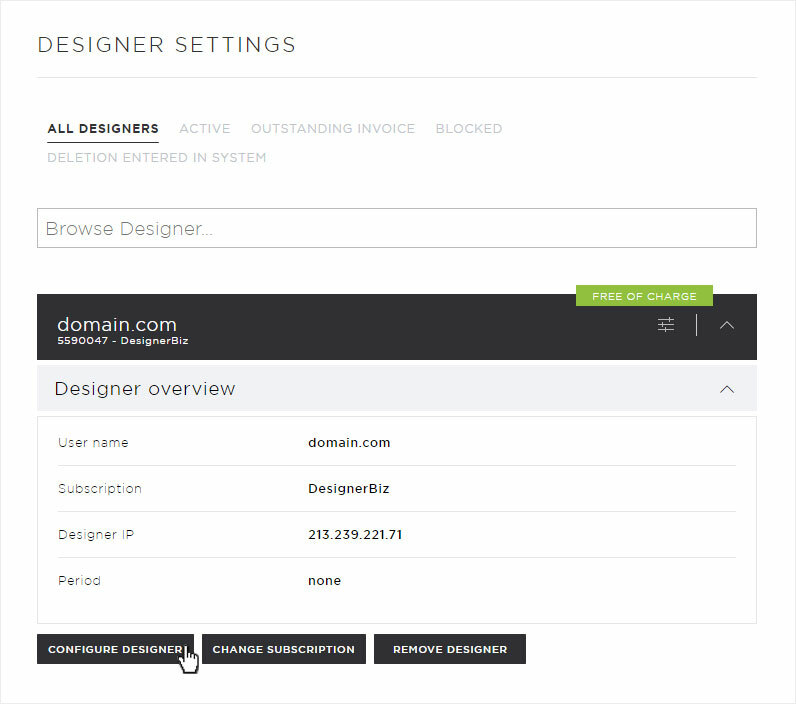 If you want to access multiple domains on your Designer website, you can set this up in My Panel. 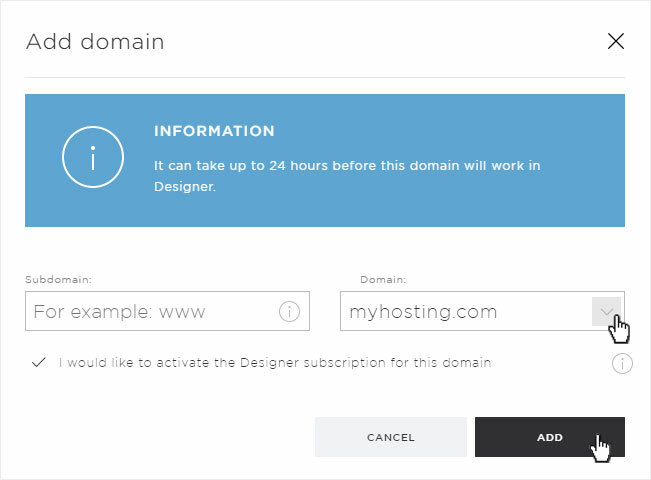 For this to work, all desired domains must be installed as «additional domains» in your hosting package. 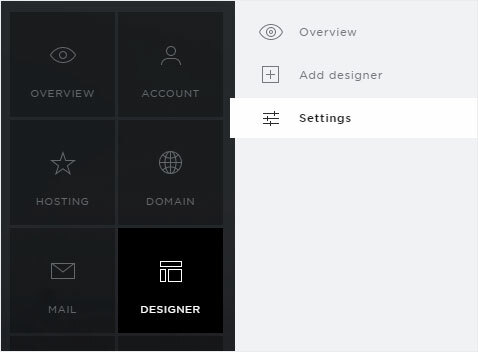 Click the «arrow» icon next to the desired Designer installation. The details page appears. 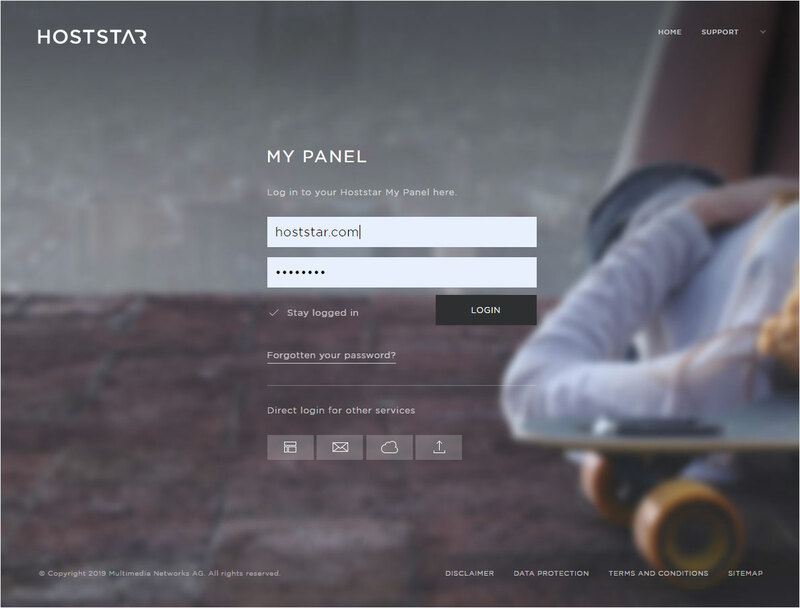 Now click the «Configure Designer» button. Click the «Add Domain» button on the configuration overview. Now you can define or choose the details of the domain. 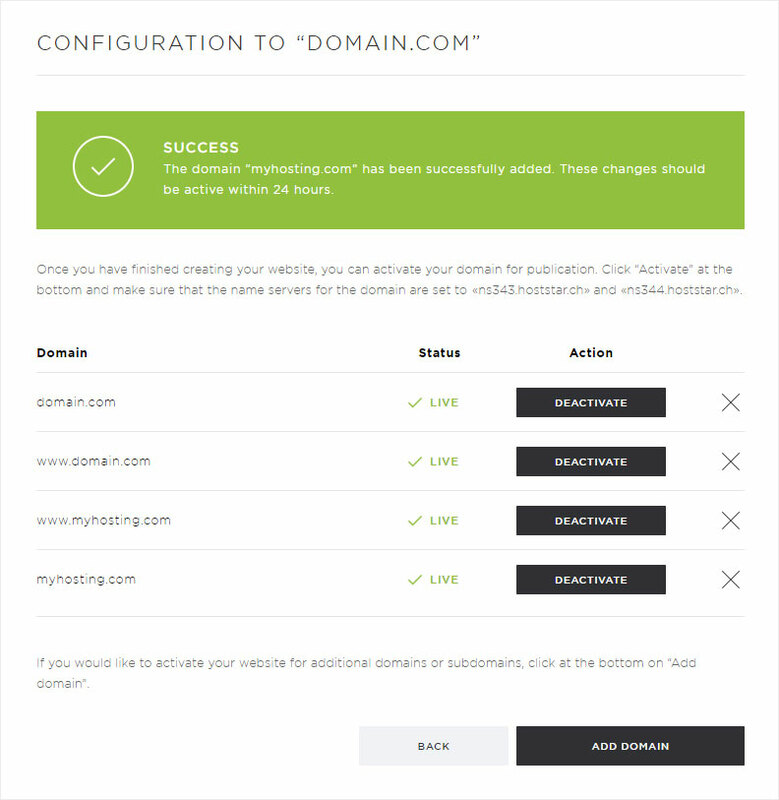 Under «Domain», you can select the required domain via dropdown (if it has already been «installed» and has been «activated on this hosting»). The selected domain will be activated immediately with and without www. This is indicated by the success message on the configuration overview. Please note that it can take up to 24 hours before the website can be accessed from every type of device via the selected domain. Click «Deactivate» next to the domain that you no longer want to be accessible via the Internet on your Designer website. You will see a success message after the necessary changes for deactivation have been completed. Please note that it can take up to 24 hours before the website is no longer accessible from all devices via the deactivated domain.